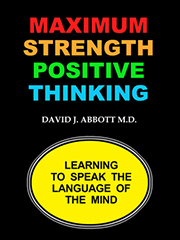 POSITIVE NEWSLETTER - THERE ARE NO LIMITS, THERE ARE ONLY LIMITING BELIEFS - DAVID J. ABBOTT M.D. I will live the rest of my life as if I am a great person. I will live as if my dreams are possible and work each day to make them happen. It does not matter if I am ten years old or ninety years old, I can still live as if I am great. Any age is the right age to work on my dreams, and any place is the right place to make them come true. I don't know how much time I have left, but in whatever time remains, I will live as if I am great. The Positive Newsletter values your time, and we know that you don't want to read long newsletters. That's why our newsletters are short and sweet. The longer the newsletter, the harder it is to find the good stuff. We want you to find the good stuff immediately and share it with your friends. Each newsletter focuses on a single concept that you need to have in your mind. We attempt to make our newsletters pure gold. The newsletters also have links to positive resources that will help you live as a positive person. When it comes to newsletters, we realize that one size does not fit all. Some individuals want a newsletter with a Christian flavor, and others want one with a secular flavor. That is why we have two different newsletters. The Positive Newsletter is for people who want positive thinking straight up, and the Positive Christian Newsletter is for those who want to organize their lives around positive Christian principles. Some people subscribe to both. Our newsletters and websites are all free. If you want to become part of something great and make a positive difference in the world, visit Positive Crowdfund. Your support helps us send a positive message around the world. 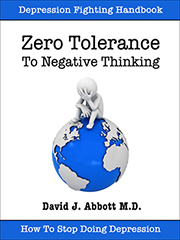 If you like our Positive Newsletters, you will also enjoy these books by Dr. Dave. by David J. Abbott M.D. Thanks for subscribing and giving us the opportunity to change your world.